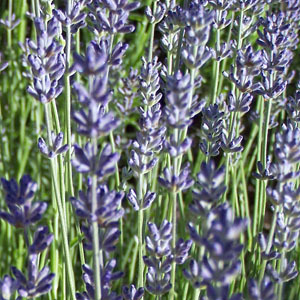 This cultivar of English lavender is notable because it blooms about two weeks earlier than most of our other cultivars. The calyx color is light purple; the corolla is violet. A fast growing cultivar.